East Clinton Local Schools Director of Bands Sam Minge, right, and his partner Cassie Smith do a dance performance to the song “Kansas City”. 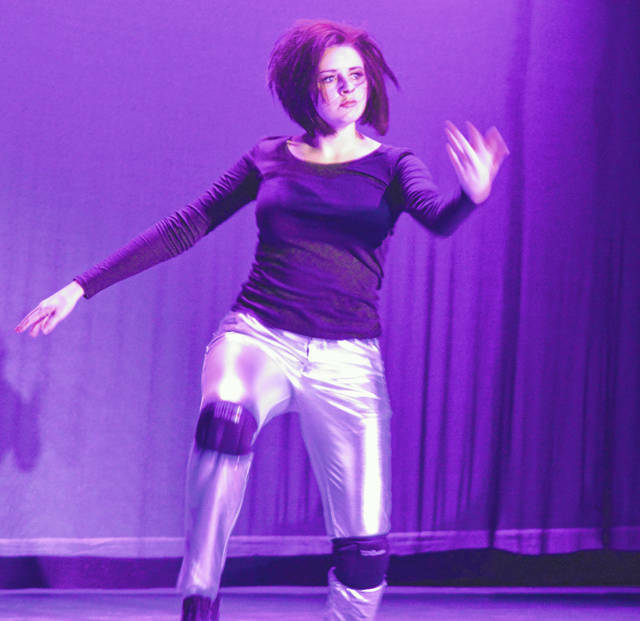 Cosmetologist Ashley Leach dances to “Scream” and earns four perfect 10s from the four-judge panel to win the judges’ trophy for top dancer. Wilmington police officer Pat Black uses his strength to lift his partner Alexia Minton to the tune of “Georgia On My Mind”. Dr. Jeffrey Manser, right foreground, wins the trophy for raising the most money for the Murphy Theatre fundraiser. Next to him is emcee Sue Reynolds and in the background is celebrity dancer and WPD police officer Pat Black. 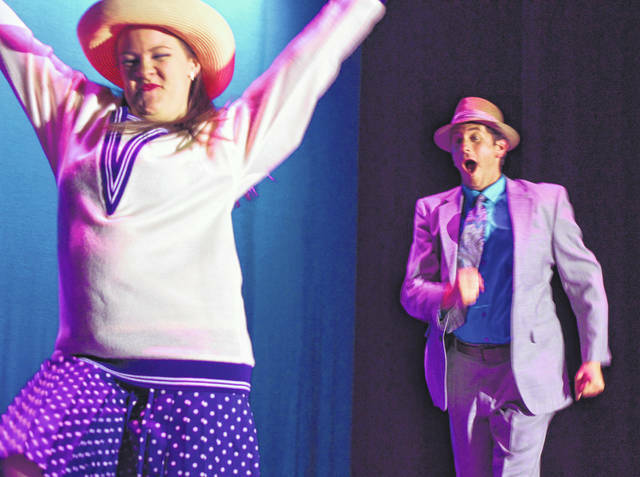 Lauren Raizk-Wulff, right, and Cole Haugh have fun dancing to “Car Wash”. Raizk is a partner at a Wilmington law firm. Wilmington Hurricane head football coach Scott Killen does push-ups during his dancing to the song “Don’t Stop Me Now”. 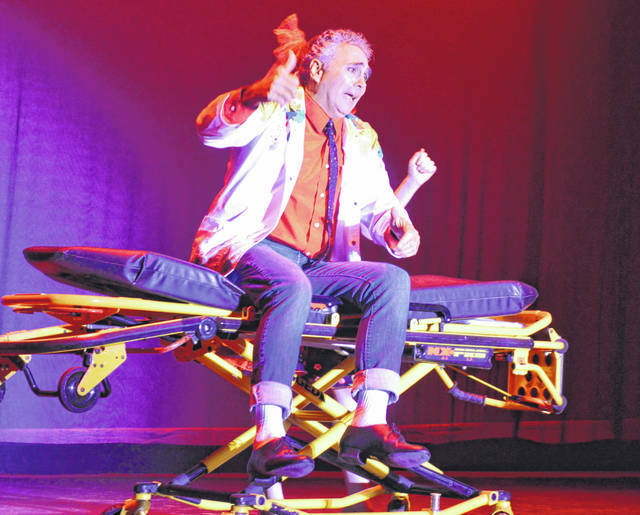 During his “Doctor Rhythm” dance performance, Dr. Jeffrey Manser had occasion to hop onto an ambulance stretcher. Mostly hidden in the photo is his dancing partner Alexia Minton. 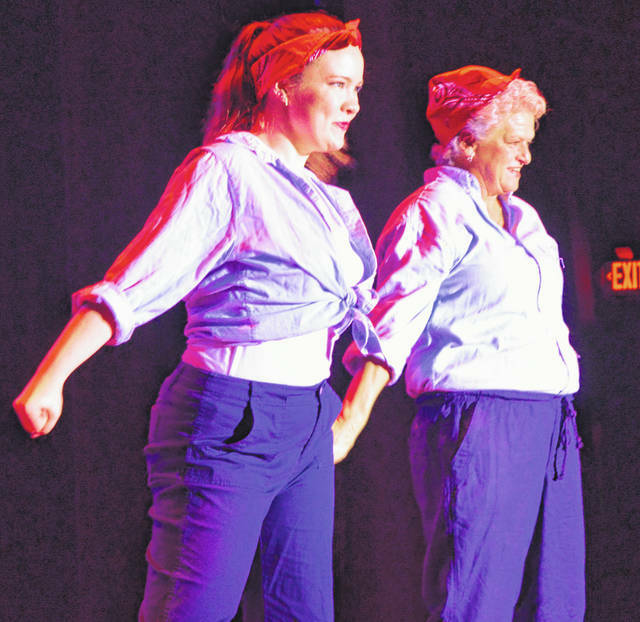 Kathy Collins, right, and dancing partner Cassie Smith dance to “Sisters are Doing It for Themselves”. Among other things, Collins is a former Wilmington High School girls golf coach. Katie Wright, a Wilmington College adjunct professor, enjoys a “Rock Around the Clock” with dance partner Cole Haugh. 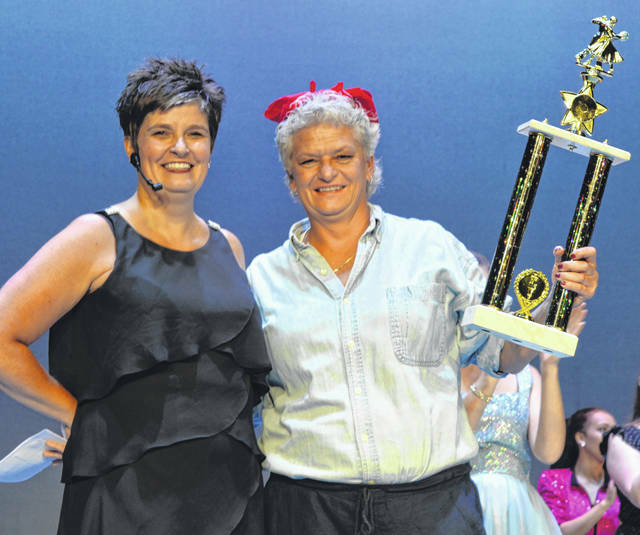 Dancing contestant Kathy Collins earns a reserve champion trophy for raising the second-highest amount of funds among dancing participants. Emcee Sue Reynolds accompanies her for the celebration photo. 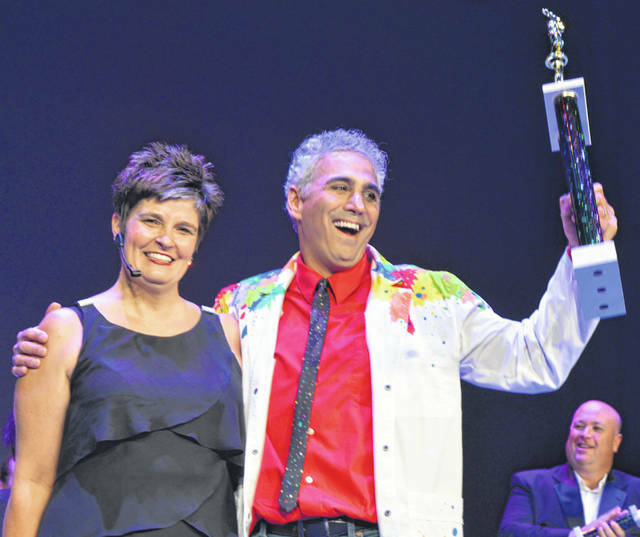 The Murphy Theatre was definitely the place to be Saturday evening in Clinton County for the annual CMH Regional Health System presents Murphy Theatre’s Dancing with the Stars fundraiser. 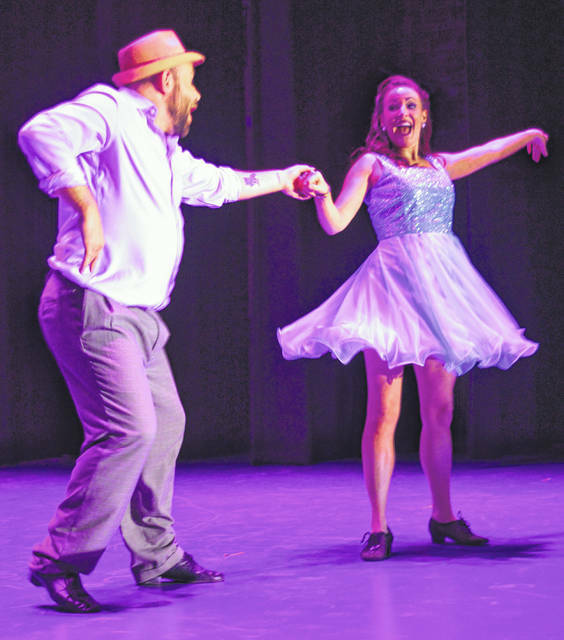 The stars came out — as well as their fans — Saturday night for the annual CMH Regional Health System presents Murphy Theatre’s Dancing with the Stars fundraiser for the theatre. 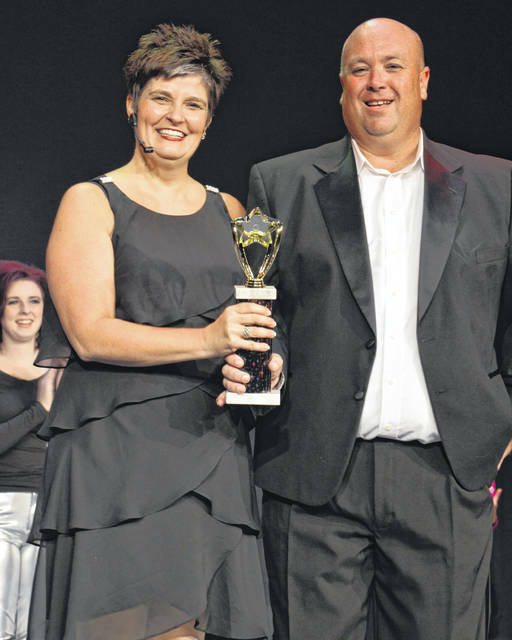 The pictured fans rooted for dancer Kathy Collins who earned a trophy for raising the second-highest amount of funds, employing multiple and unusual fund-raisers, said emcee Sue Reynolds. 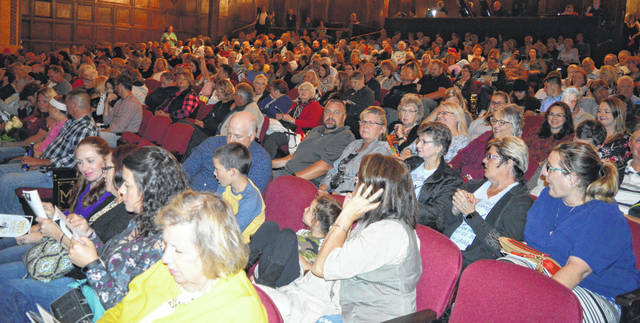 Overall, the Murphy Theatre fundraiser and fun-raiser raised more than $32,600, the fifth year for the popular event. Wilmington police officer Pat Black, right, receives the trophy for being the audience favorite. In the left foreground is emcee Sue Reynolds. 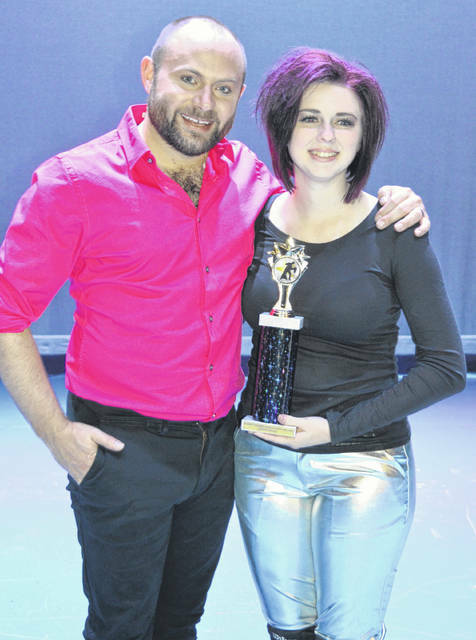 Cosmetologist Ashley Leach wins the trophy as the judges’ choice for top contestant dancer. She is with dance partner Cole Haugh with the Wilmington Performing Arts Studio.